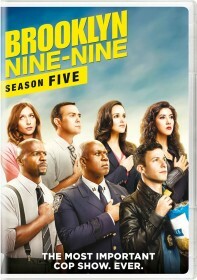 FOX has announced the third season premiere of Brooklyn Nine-Nine, "New Captain", which airs Sunday, September 27. As previously reported, Bill Hader guest stars as the New Captain, Seth Dozerman. Kyra Sedgwick reprises her role as Madeline Wuntch. After Holt is transferred to the NYPD Department of Public Relations, the New Captain's (guest star Bill Hader) arrival causes the precinct to dissolve into chaos, despite Terry's best efforts to keep everyone on point. Meanwhile, Jake and Amy face the aftermath of their "for reals" kiss in the all-new "New Captain" Season Three premiere episode of BROOKLYN NINE-NINE airing Sunday, Sept. 27 (8:30-9:00 PM ET/PT) on FOX.